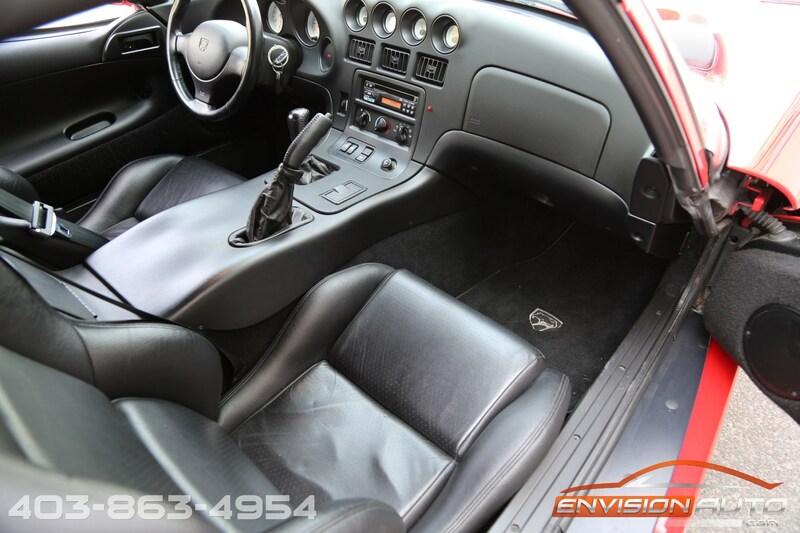 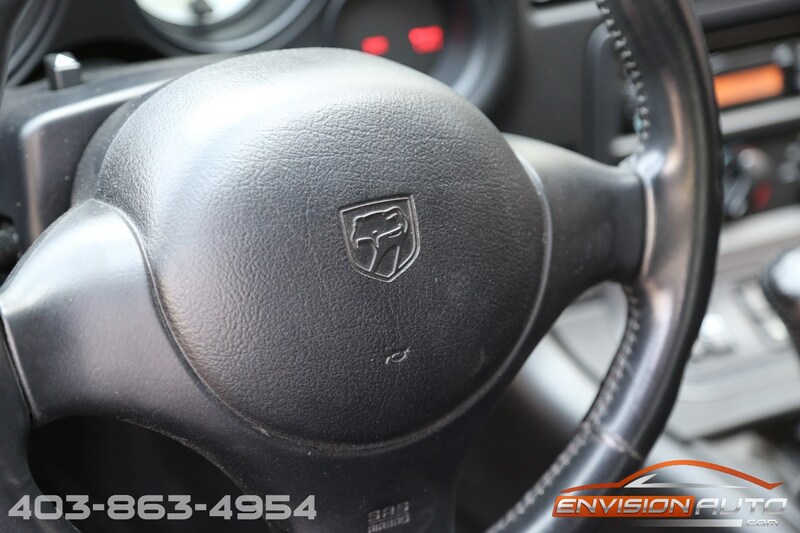 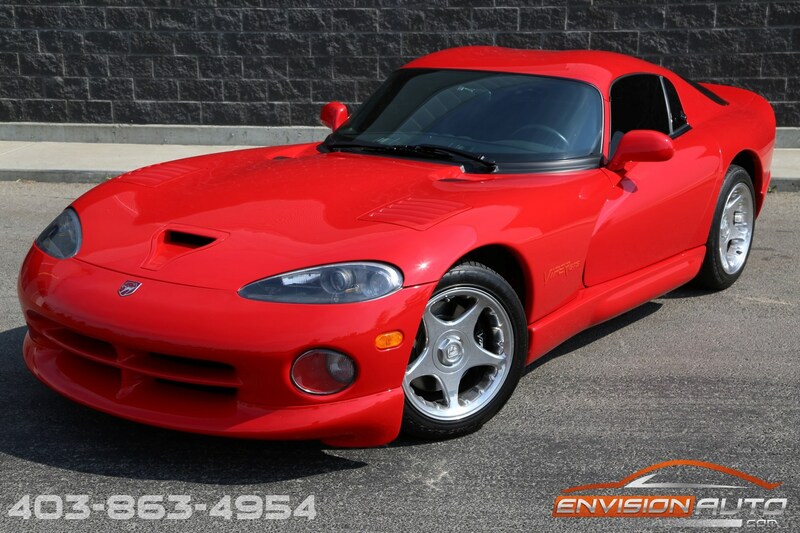 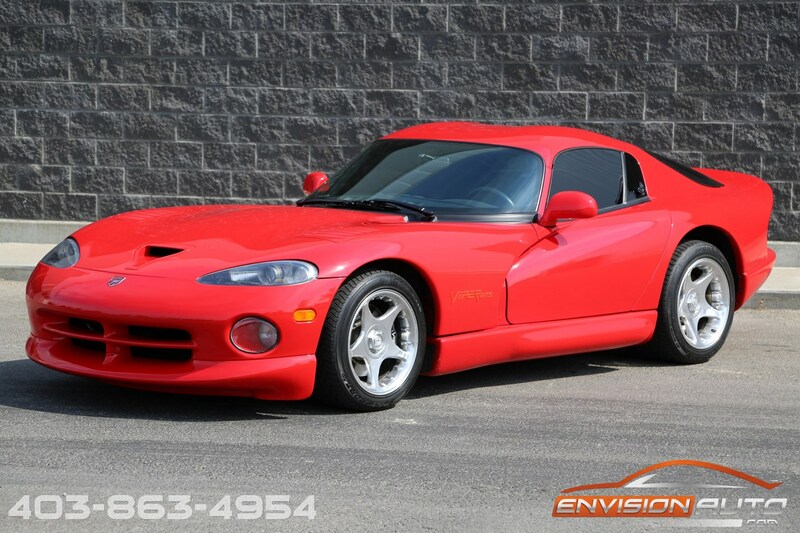 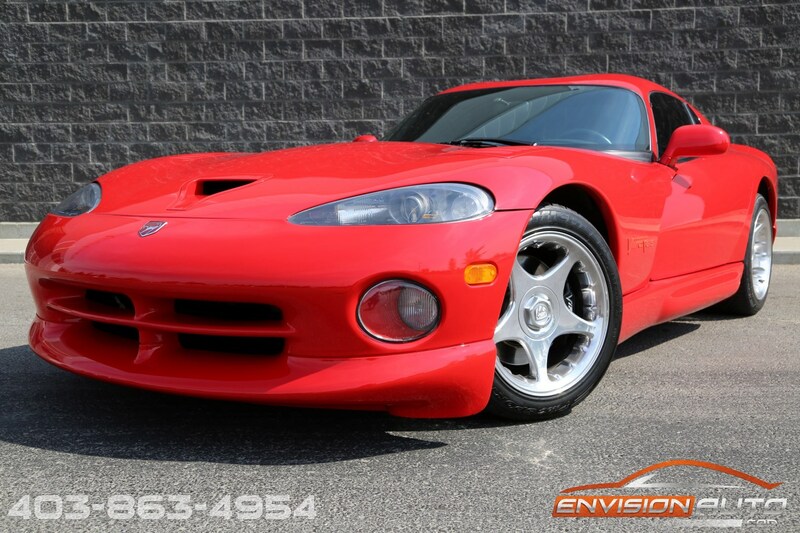 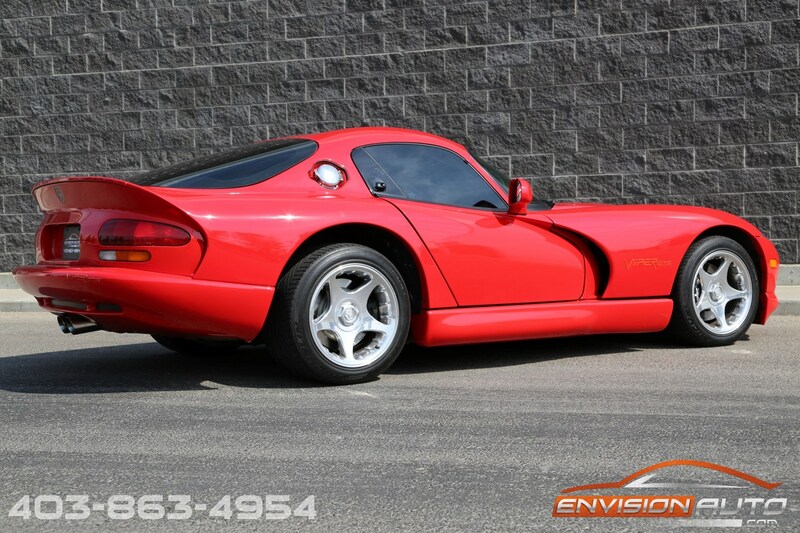 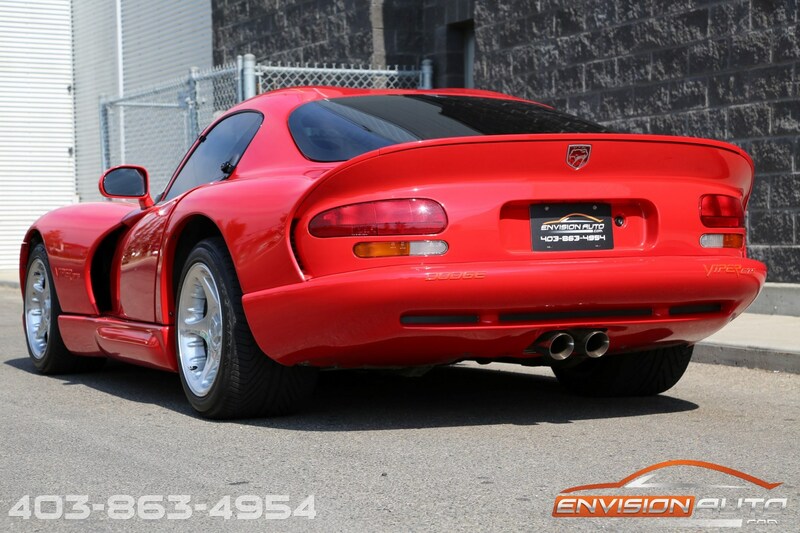 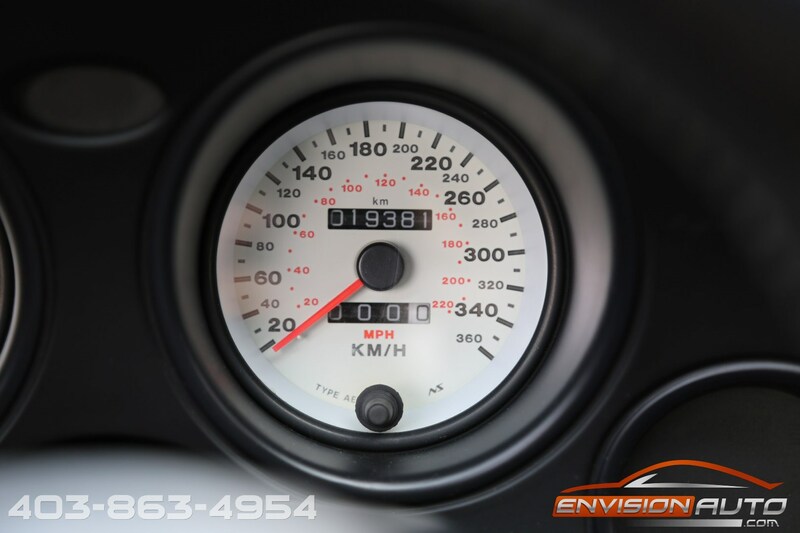 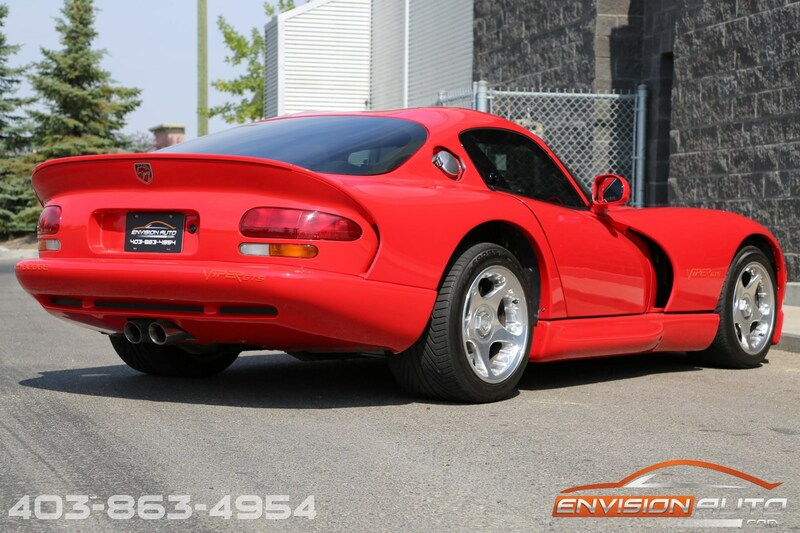 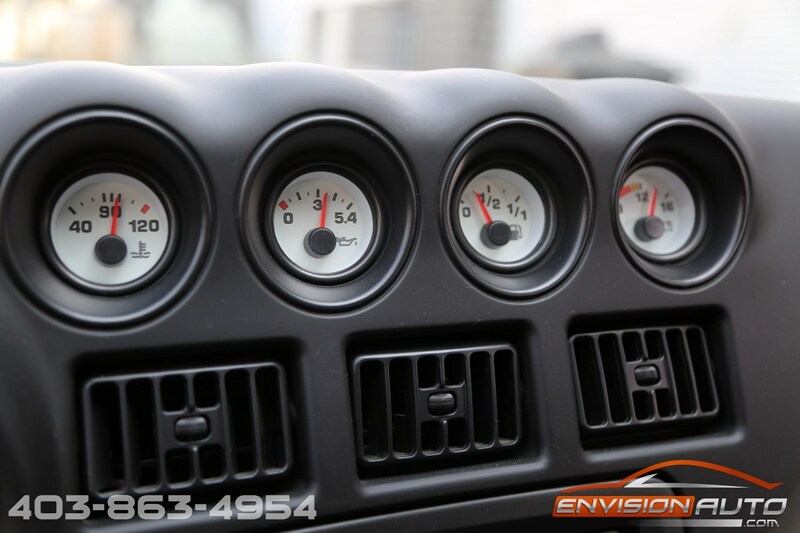 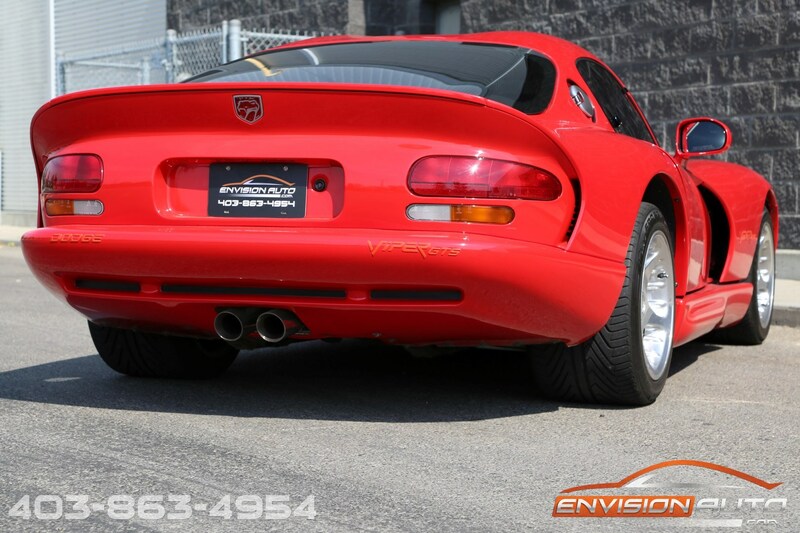 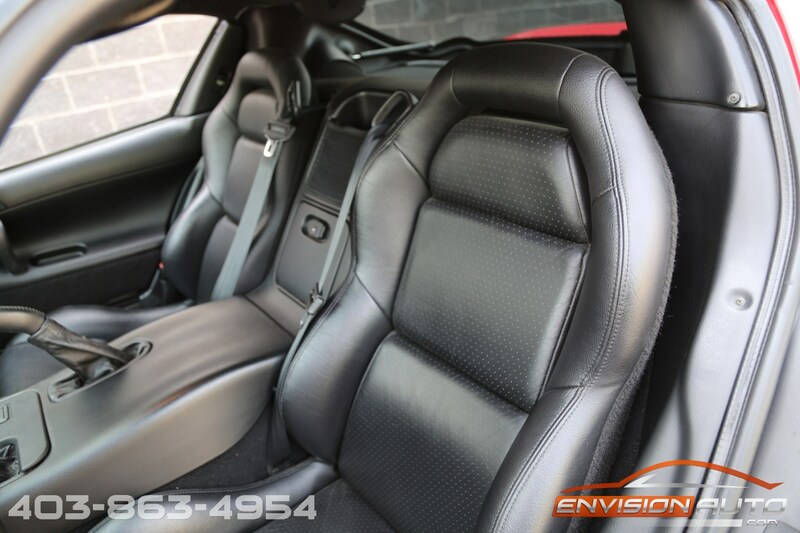 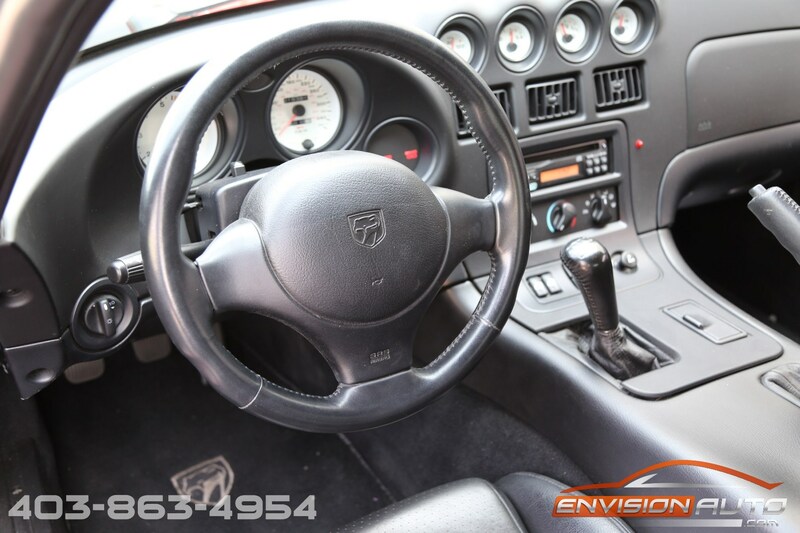 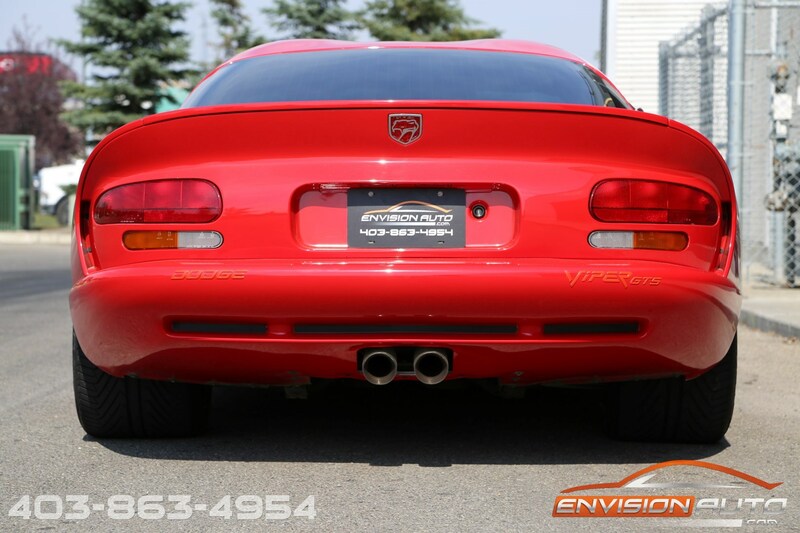 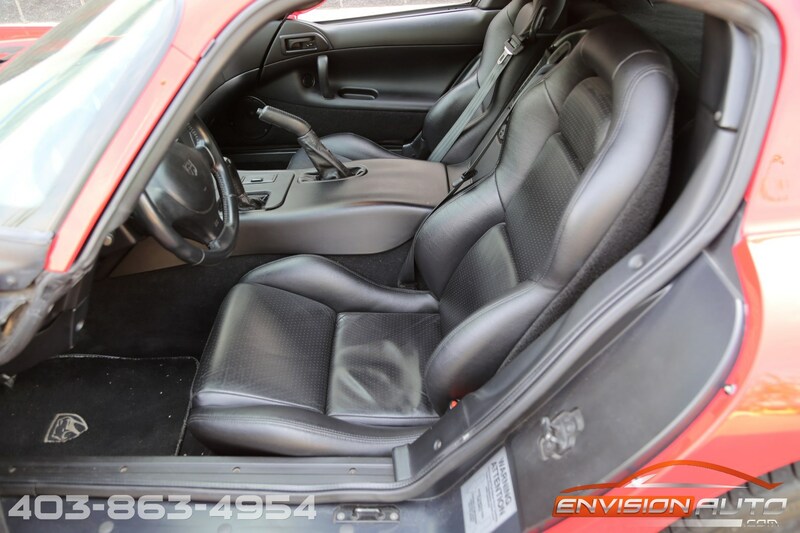 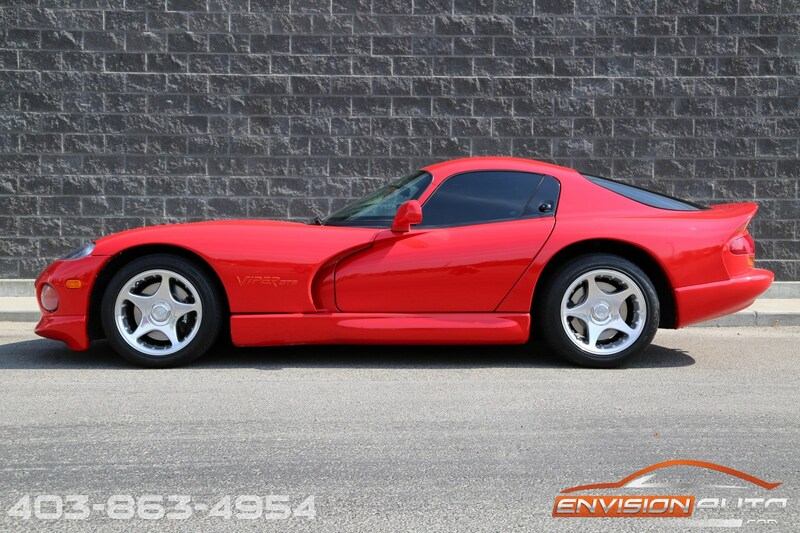 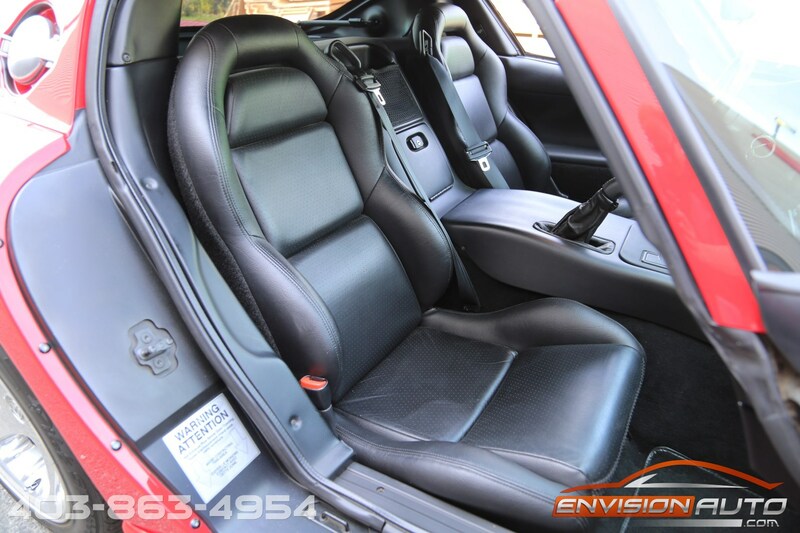 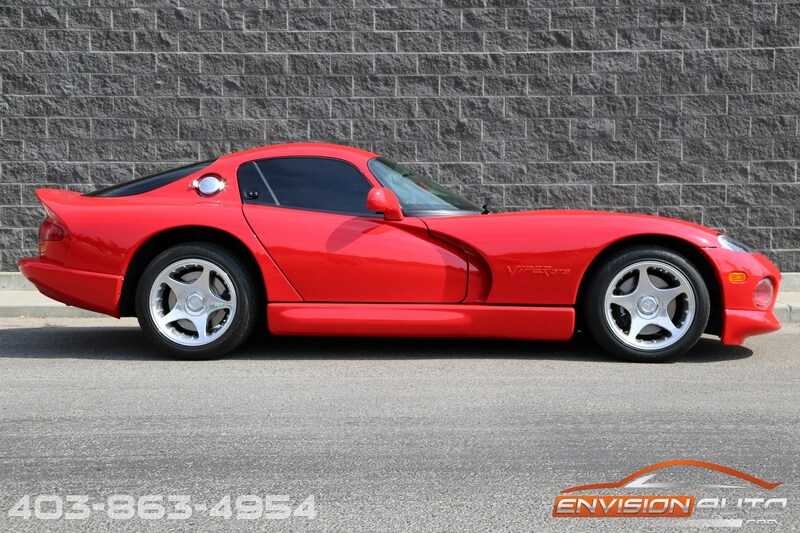 1997 Dodge Viper GTS Coupe \ Local Alberta Car Since New \ Only 19,300KMS! 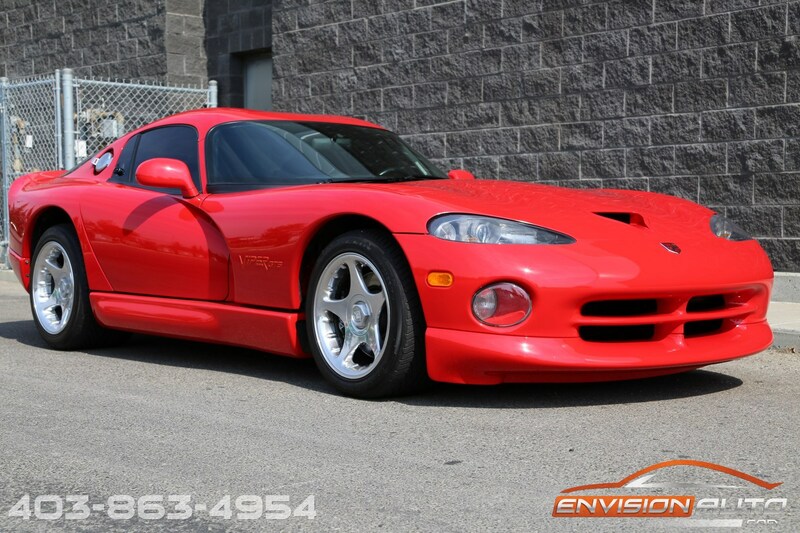 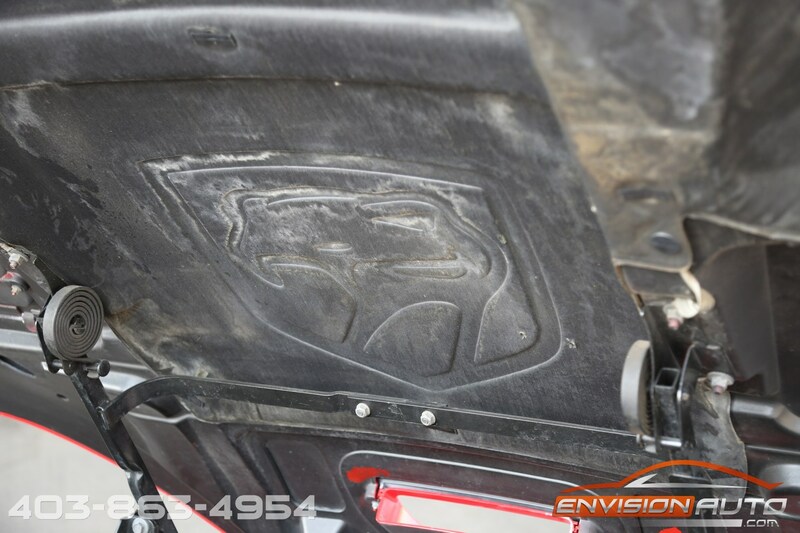 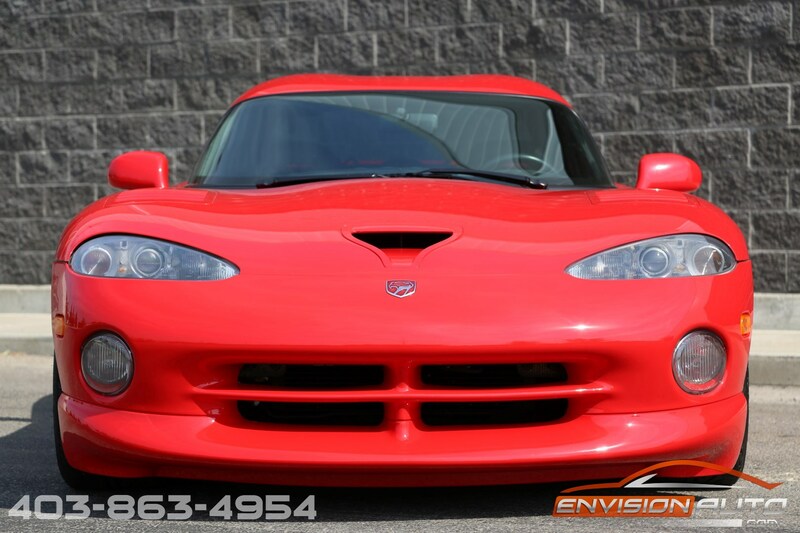 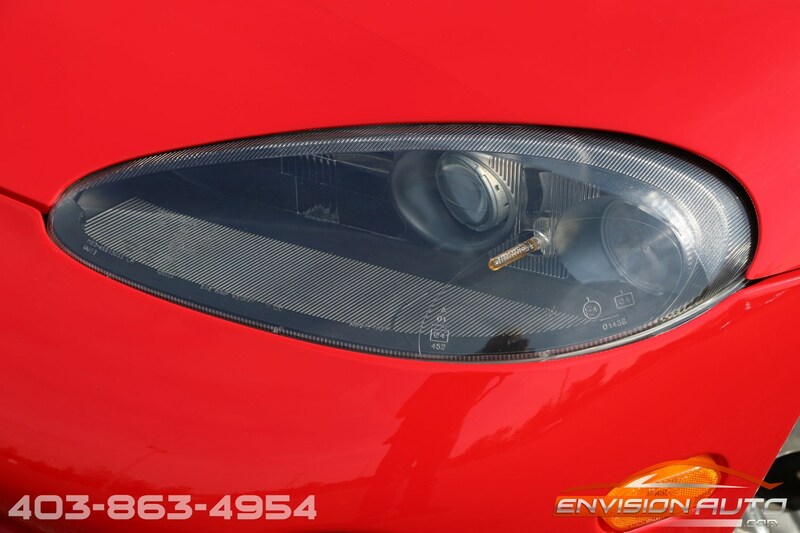 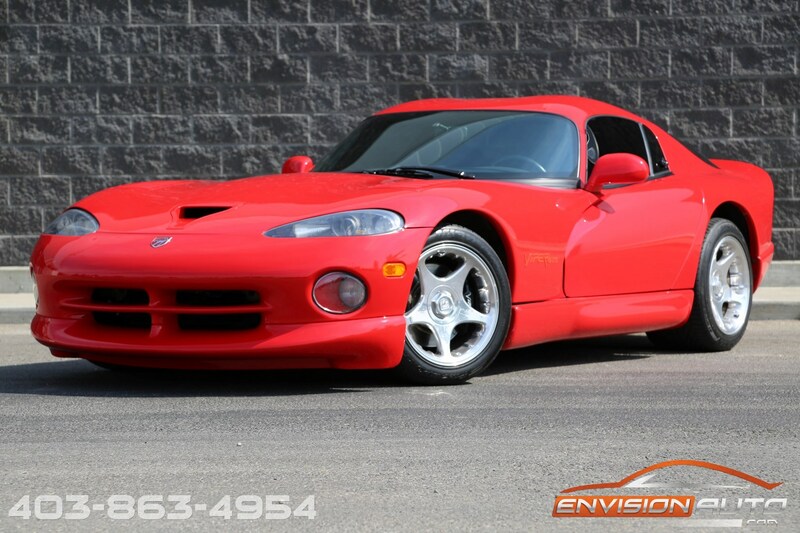 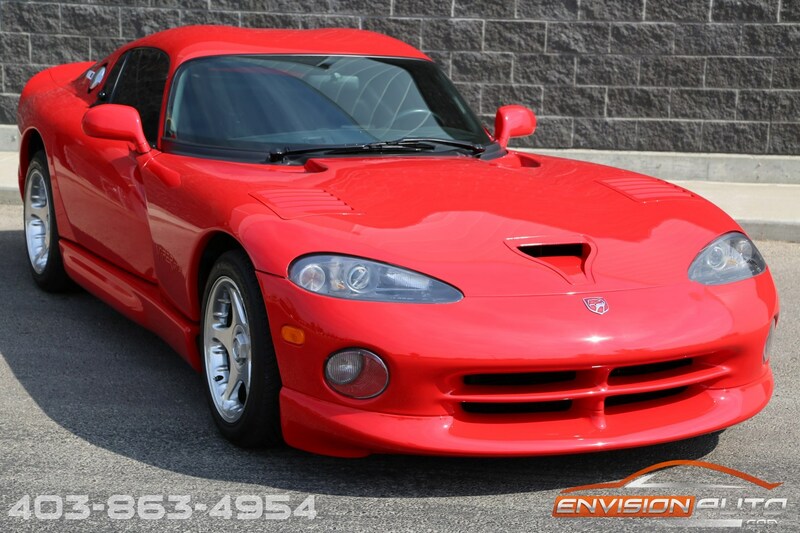 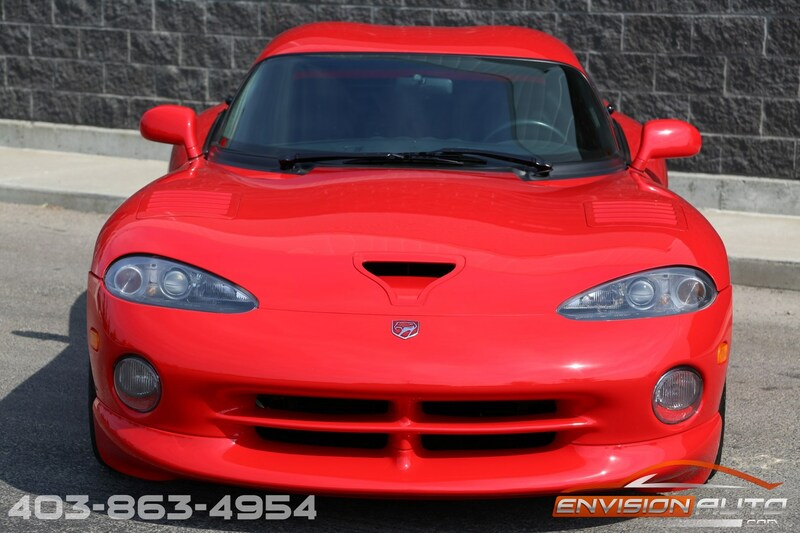 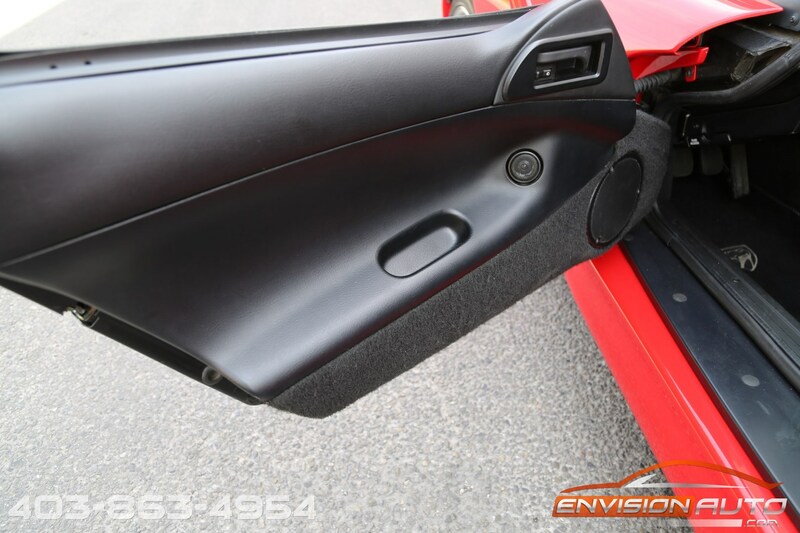 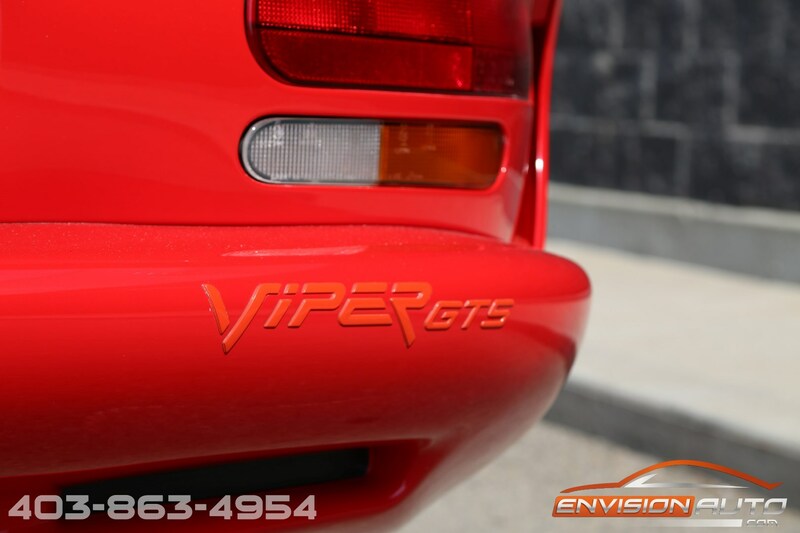 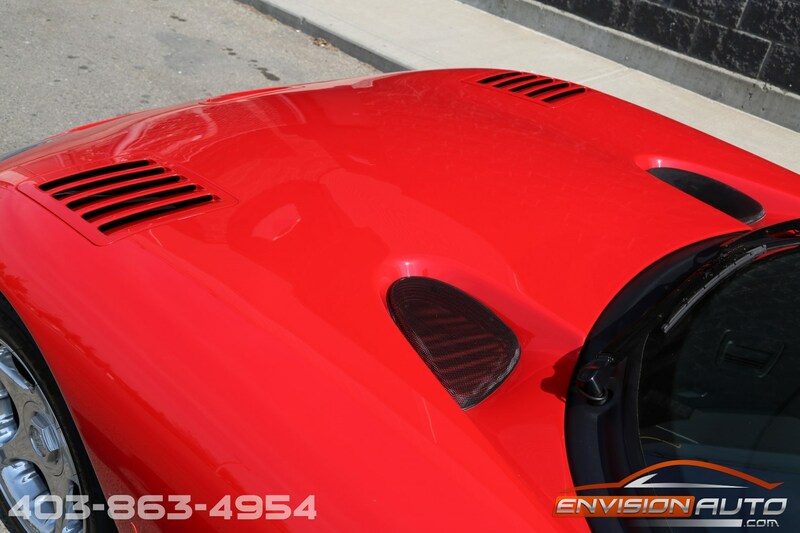 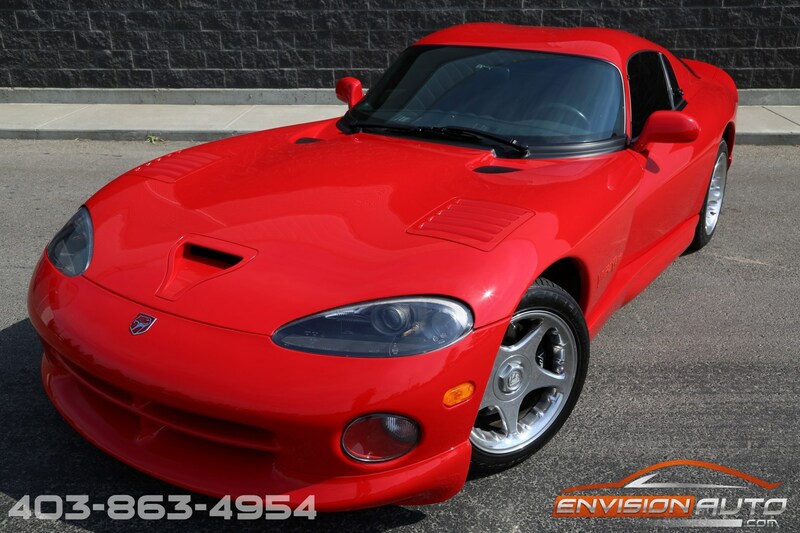 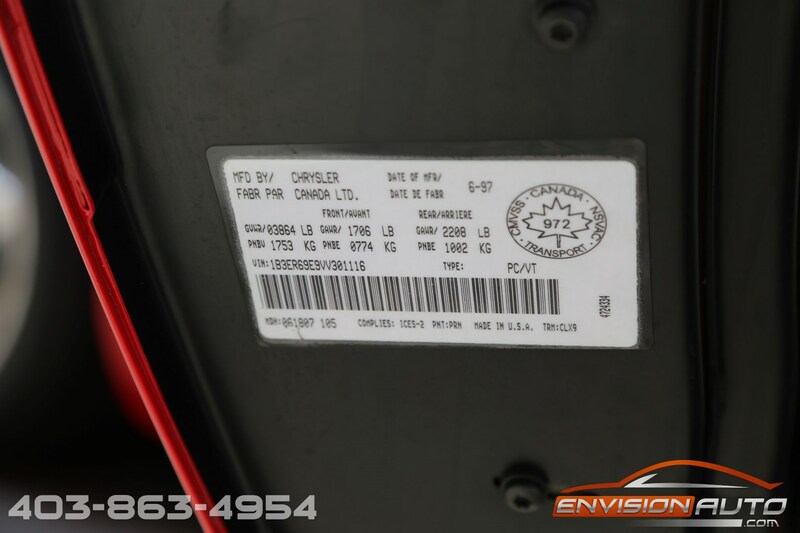 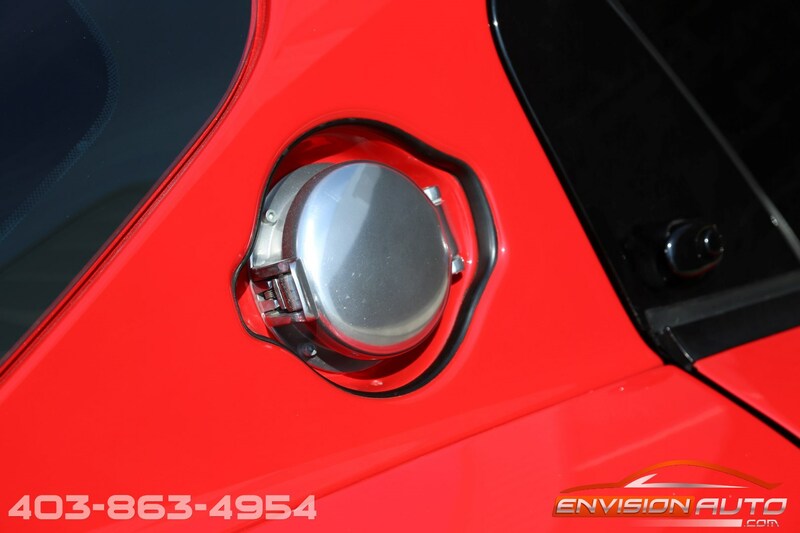 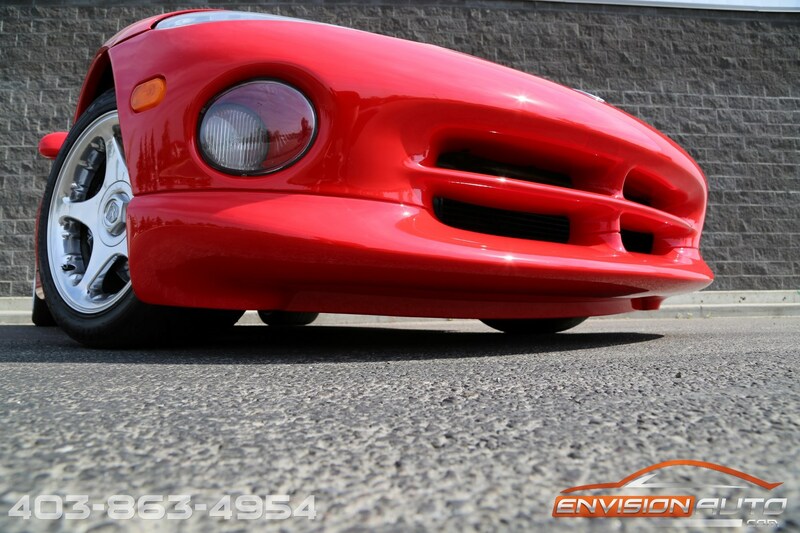 More Details : ABSOLUTELY IMMACULATE VIPER GTS \ LOCAL ALBERTA CAR SINCE NEW \ SPOTLESS CARPROOF HISTORY REPORT \ ONLY 19,380 KM’S \ FACTORY ORIGINAL SPEC CAR! 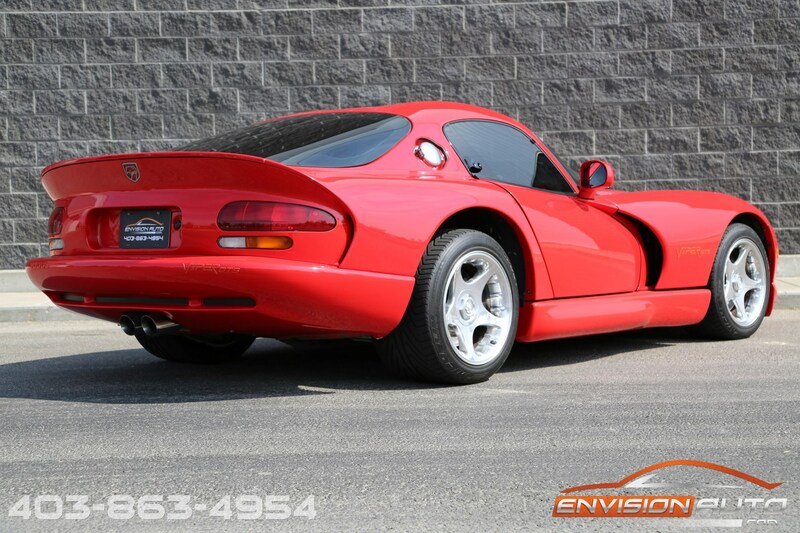 Local Alberta Canadian original 1997 Viper GTS Coupe since new in absolutely mint and immaculate condition throughout. 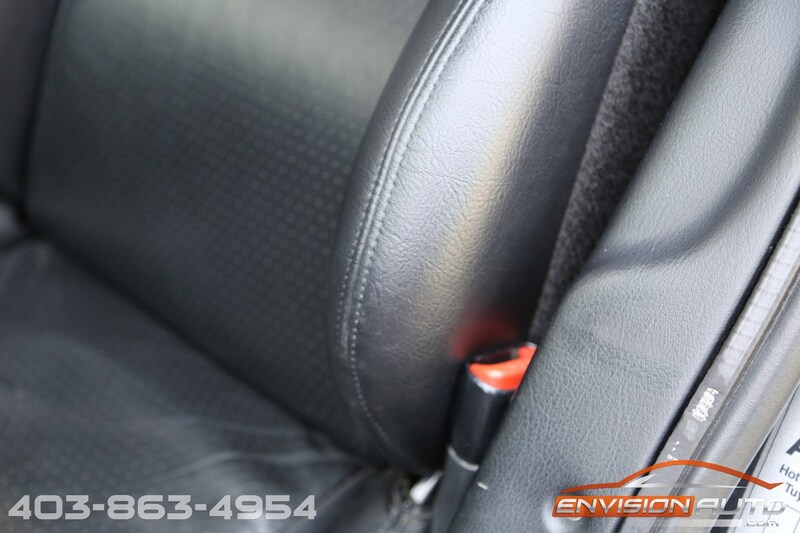 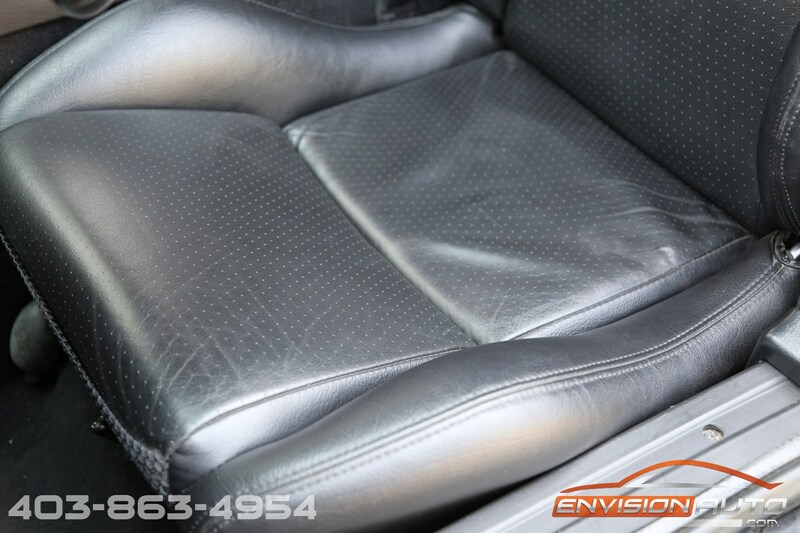 Spotless CarProof history report without any previous accidents, insurance claims or negative history whatsoever. 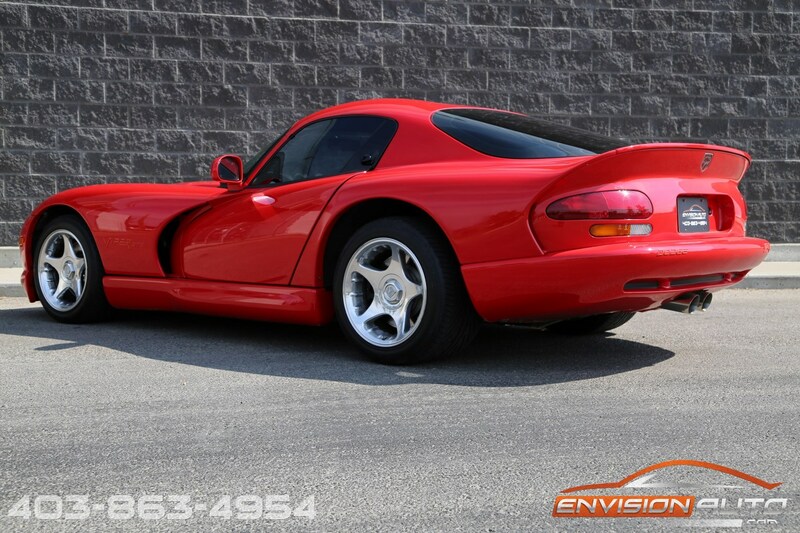 Looking for a truly story free all original Viper….then this is the one! 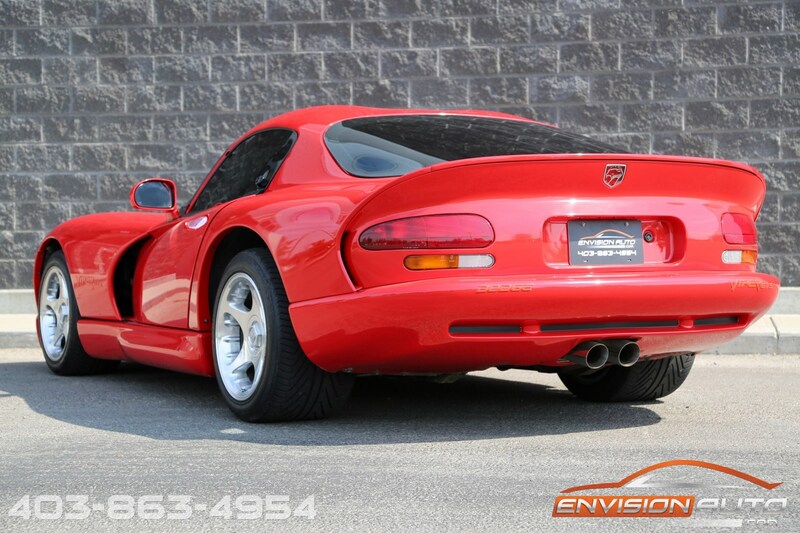 The second generation of Vipers introduced the 1996 Dodge Viper GTS Coupe that looked similar to previous Vipers but was a very different car underneath. 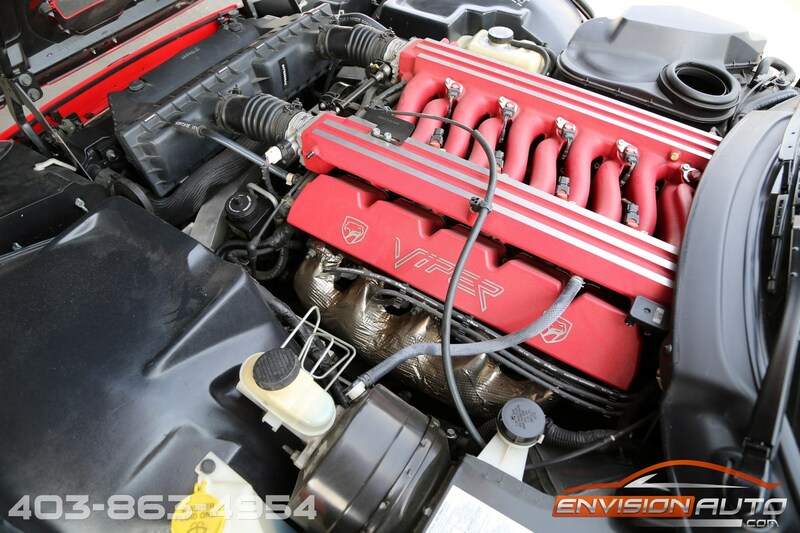 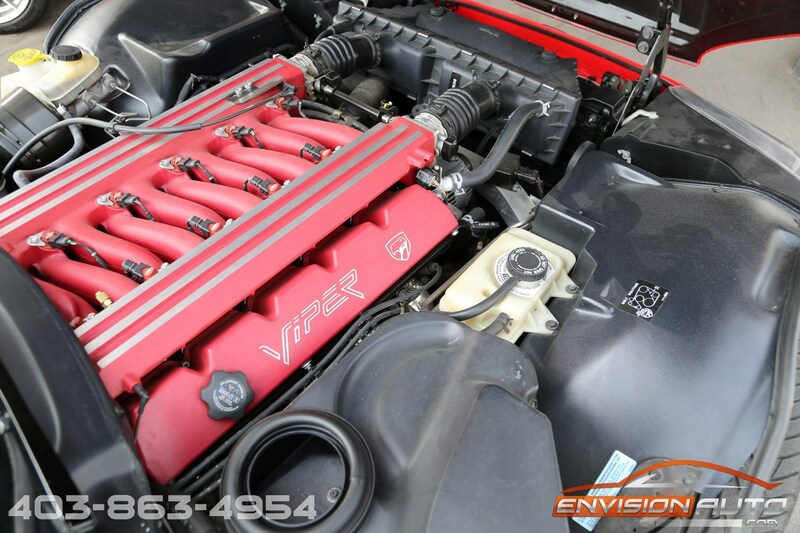 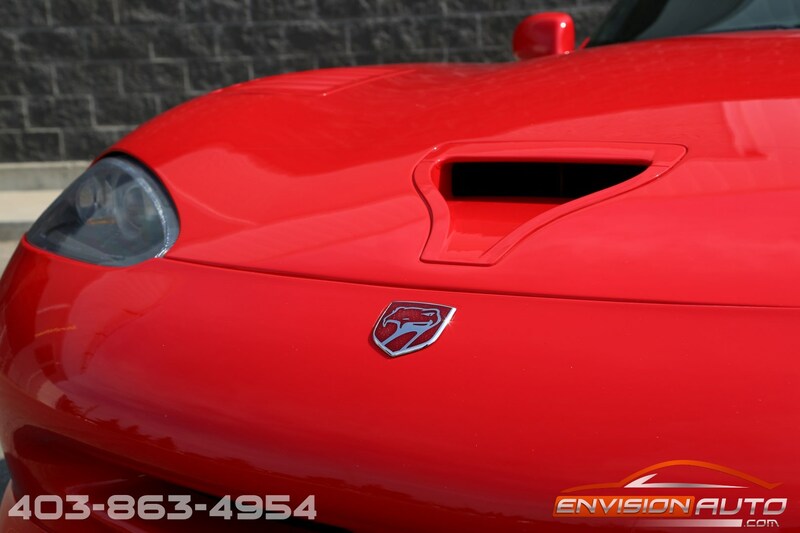 The 1996 Viper GTS incorporated a lighter more powerful engine. 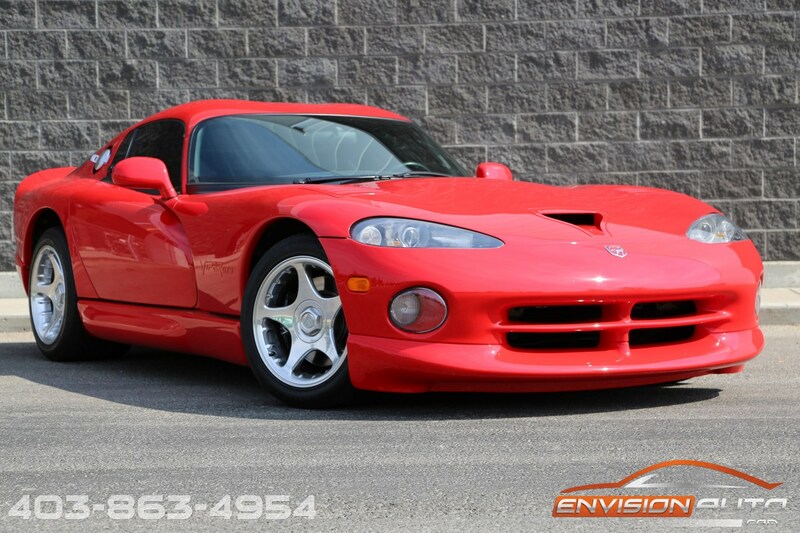 The GTS would come with the same 8.0 liter V10 engine as in previous generations but the power was increased to 450 HP. 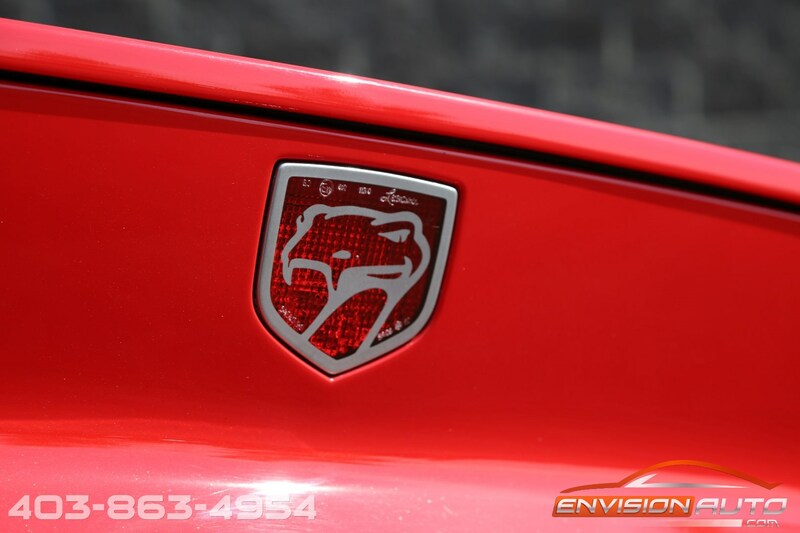 Dodge also redesigned the chassis, suspension, and brakes to make the car more manageable without losing its over-the-top performance. 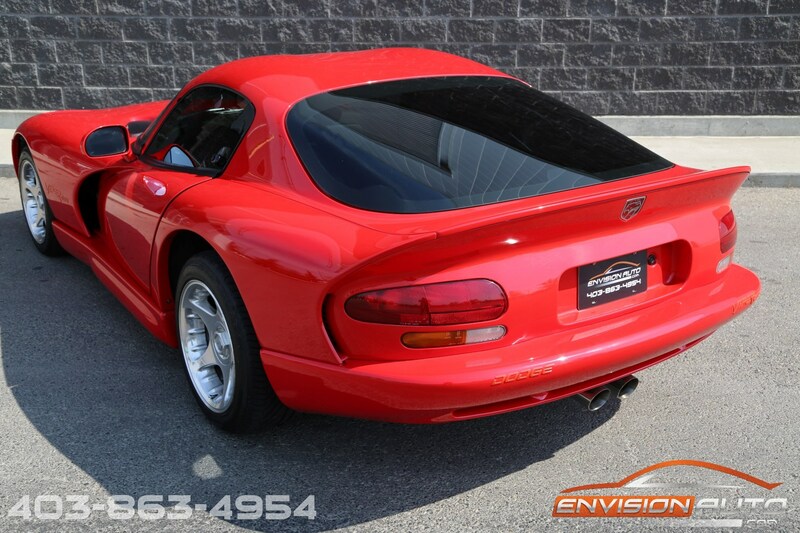 1996 was the first year for the Viper style roof featuring the “double bubble” above each seat to accommodate drivers wearing helmets. 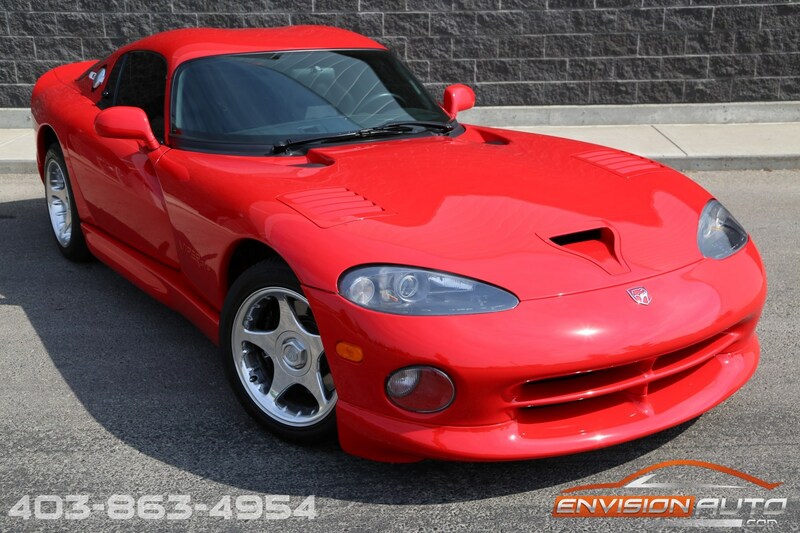 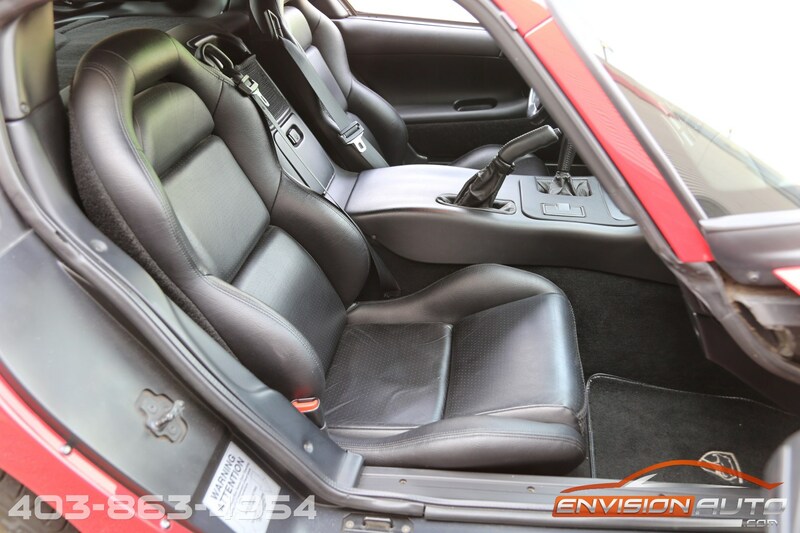 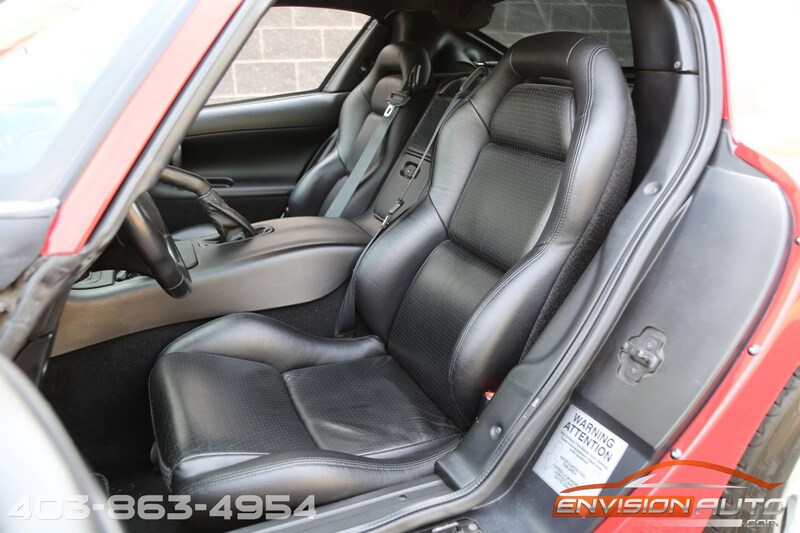 This model year also featured a black leather interior and Viper GTS 5 spoke aluminum rims and adjustable foot pedals. 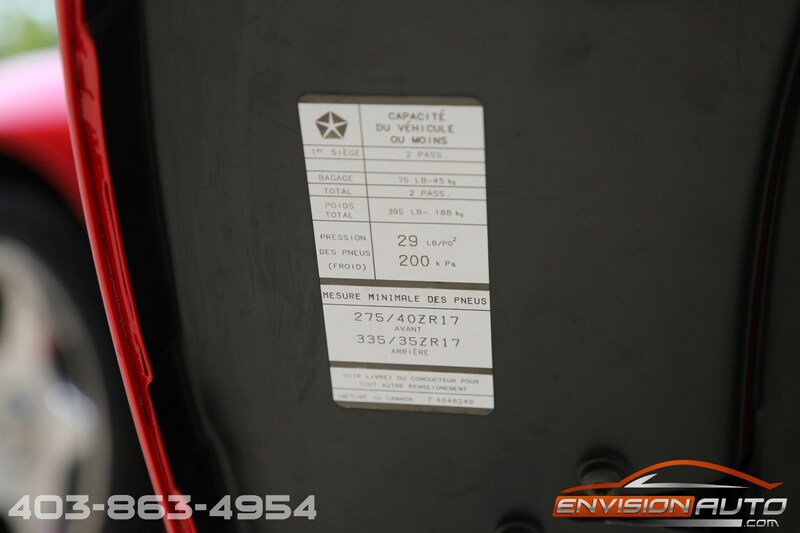 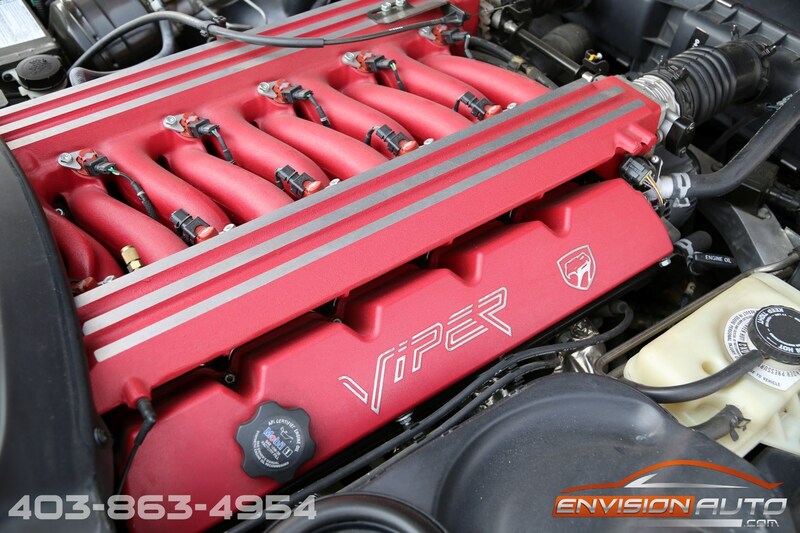 This 8.0L power plant that delivers 450 HP is paired to a Borg Warner T56 6-Speed Manual Transmission. 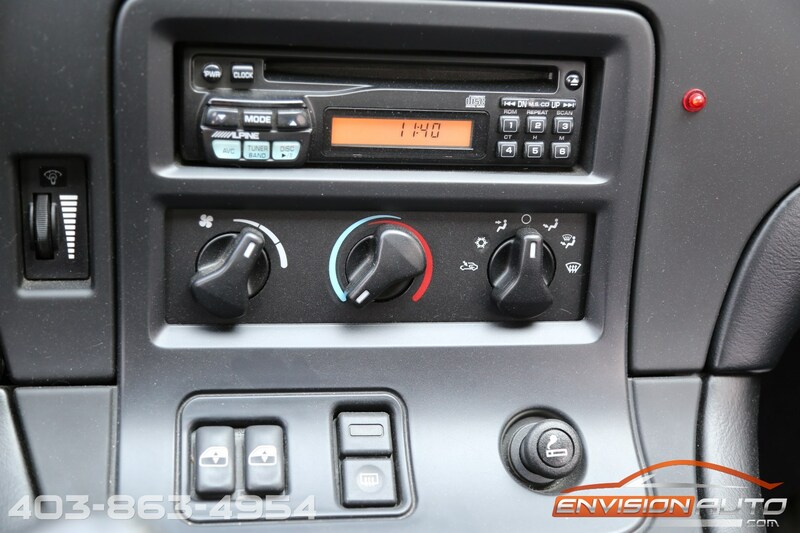 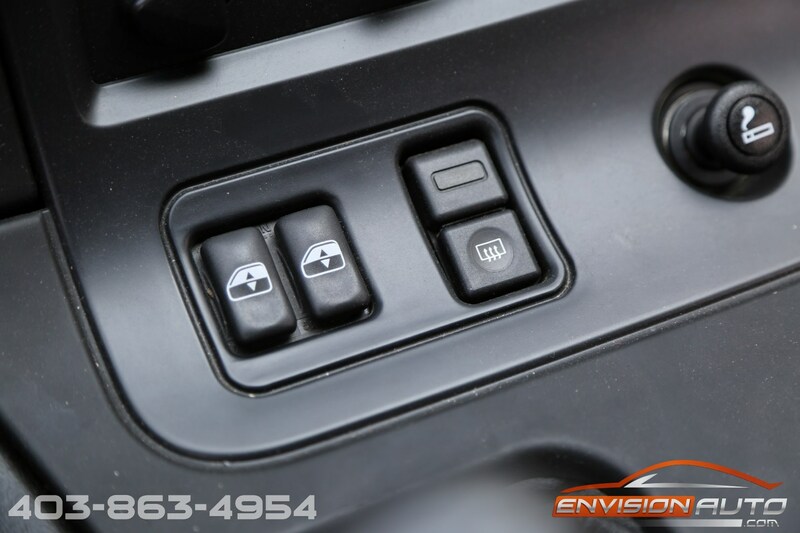 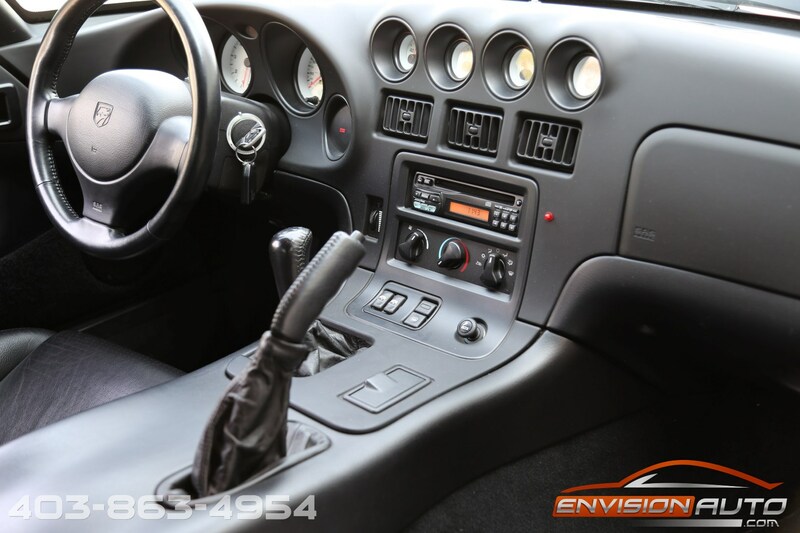 Equipped with airbags, power windows and door locks. 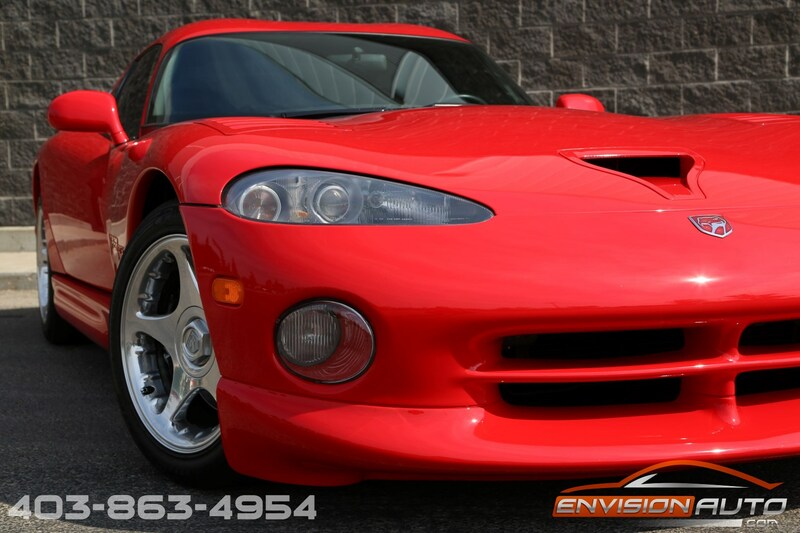 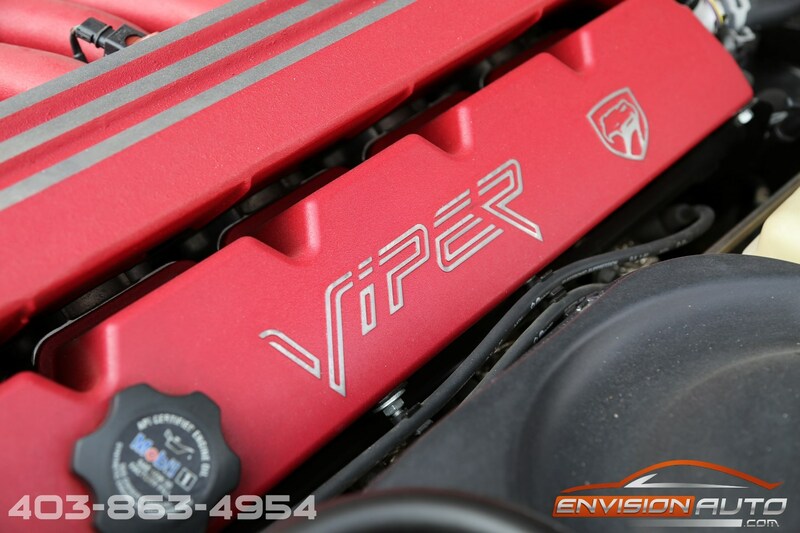 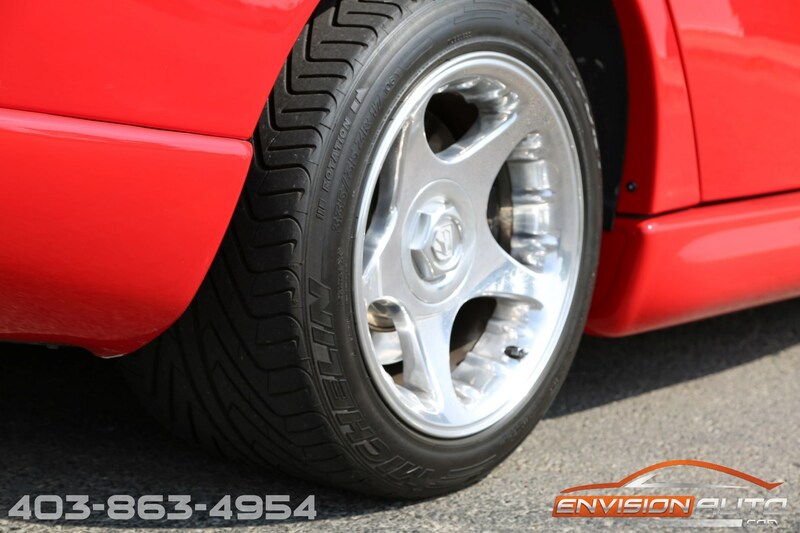 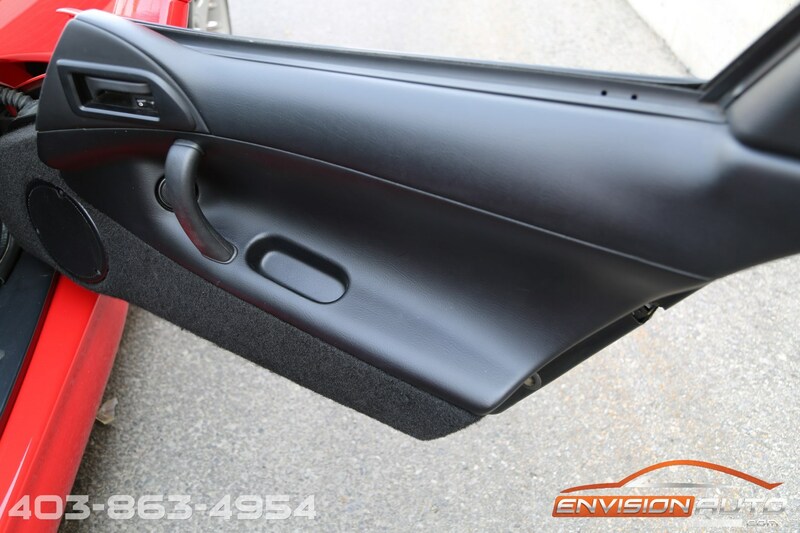 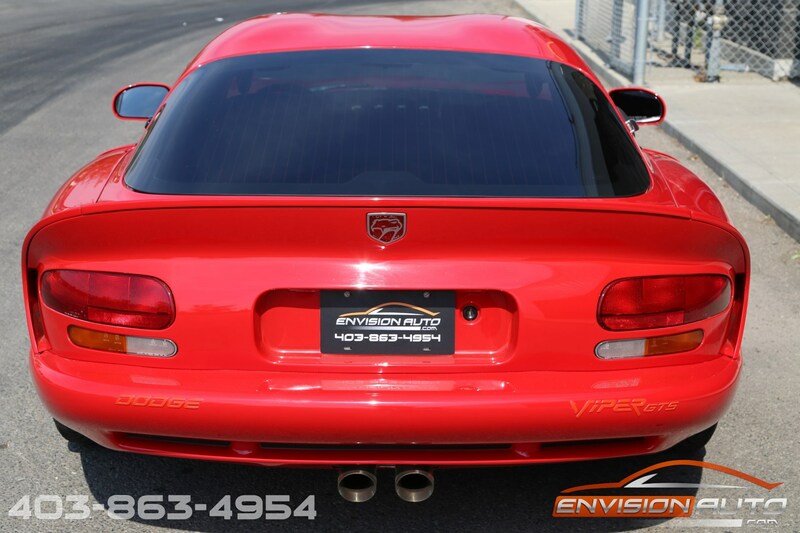 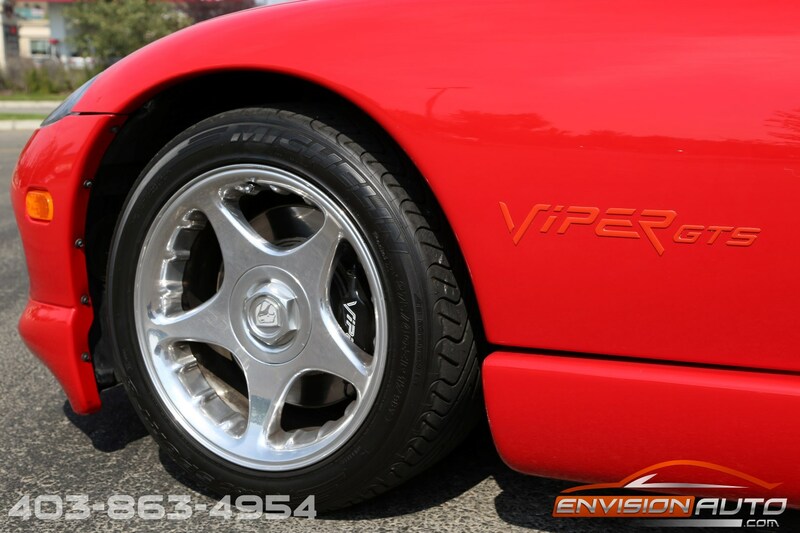 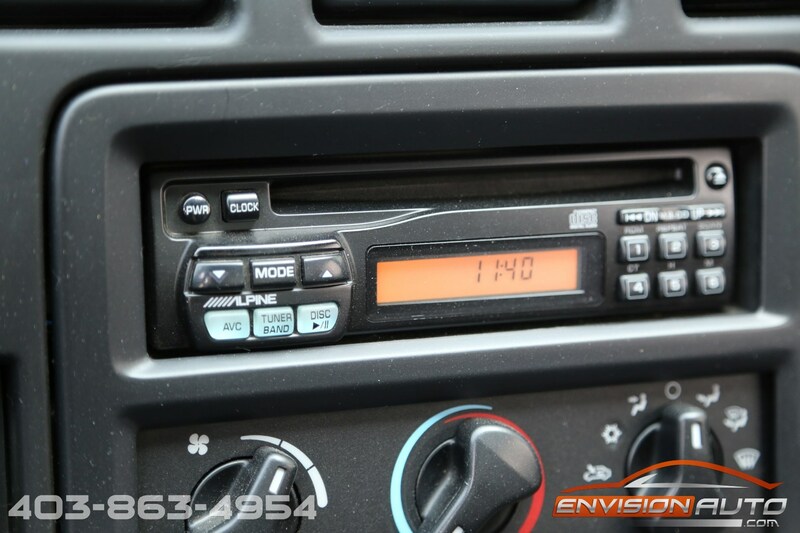 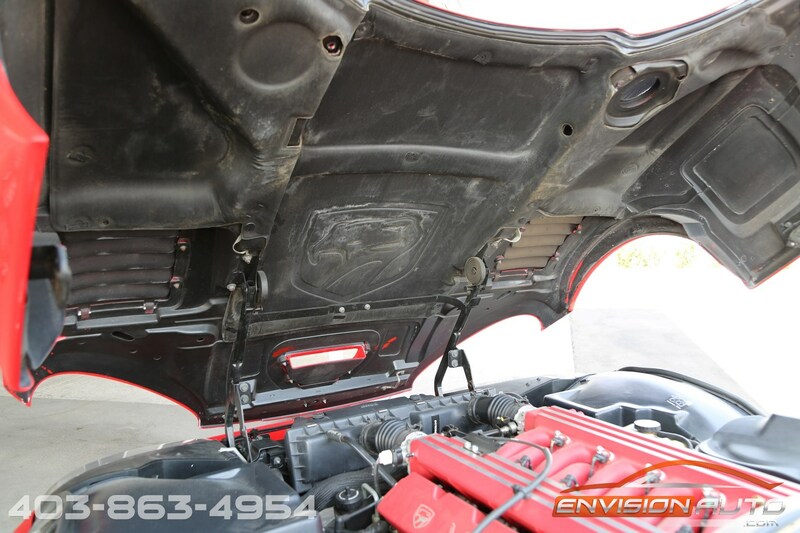 This Viper also has air conditioning, factory premium sound system, fog lamps, and security alarm .